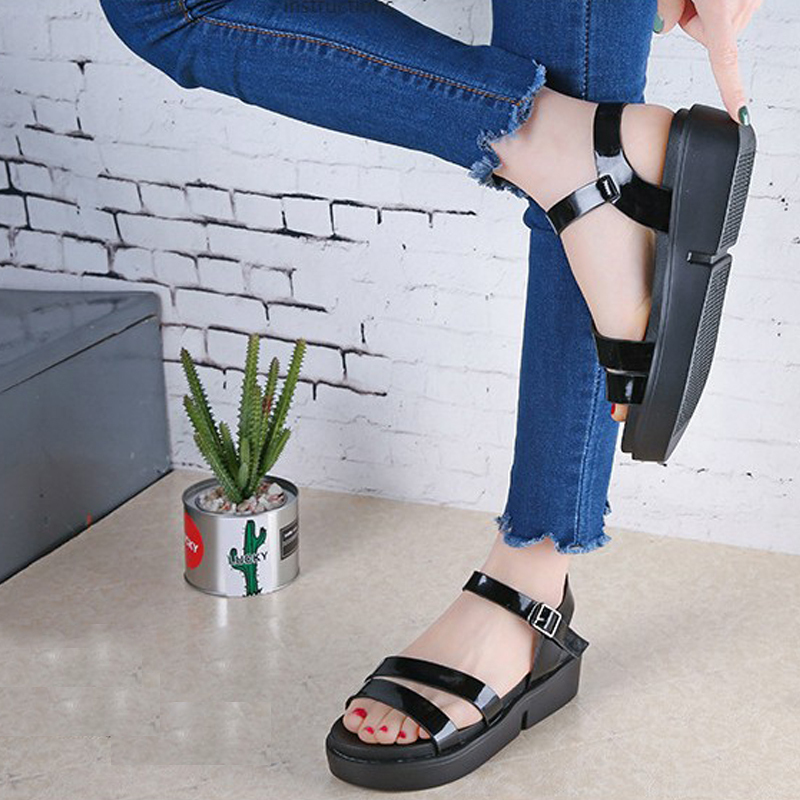 This GOLDEN thick base sandal with twin-strips at top with buckle closing manufactured with PU material and sole of course was made with rubber. The shoes might be matched with any matching regular wearing. All standard sizes are available to buy. 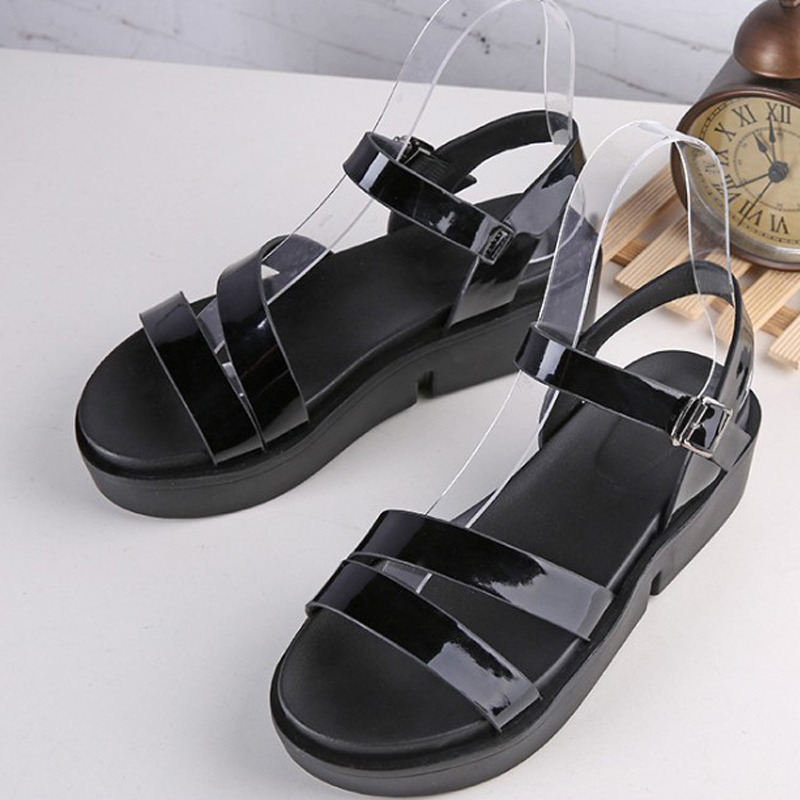 This BLACK thick based slope with high heeled waterproof women's sandals made with PU leather is the.. This GREY colored stylish designed sandals are specifically for working ladies but maybe you would l..